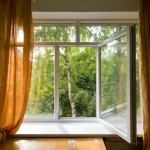 Many people are surprised to learn that the air inside of their homes may be more polluted than the air outside. While many residents of North Carolina are concerned about how clean the air is outdoors, indoor air quality can take a backseat. The fact is, the air inside of your home may be contaminated with volatile chemicals from household cleaners, and according to WebMD, even lead, radon and formalydehyde. At Weather Master, we are more than just your local heating, cooling and plumbing company- we are also Indoor Air Quality (IAQ) professionals, and we are concerned with the air you and your family are breathing. Take a look at the following tips for cleaning up the air inside your home. 1. Repair Any Leaks in Your Home. Whether plumbing leaks or leaks in your roof or basement, dampness in your home contributes to mold and mildew. Repairing leaks in your home should also save you money on future repairs and utilities. 2. Bring Plants Inside. Plants are natural air cleaners. Strategically adding plants to your indoor décor can help remove pollutants from the air in your home. Don’t have a green thumb? No problem. We’ve found a list of plants that clean the air and are nearly impossible to kill. 3. Avoid Carpeting and Keep Your Floors Clean. Unhealthy particles or chemicals can become trapped and linger in carpet fibers and upholstered furniture. Install solid flooring when possible and keep quality doormats at every door to keep harmful chemicals and pollutants from being tracked into your home. 4. Install a Quality Indoor Air Cleaner. If you or anyone in your family suffers from allergies or other respiratory ailments, an air purifier or cleaner could be a simple way to help purify the air in your home. An air cleaner can also help reduce or remove odors, dust and pet dander from your home. For more information about indoor air quality, please visit our website or give us a call. 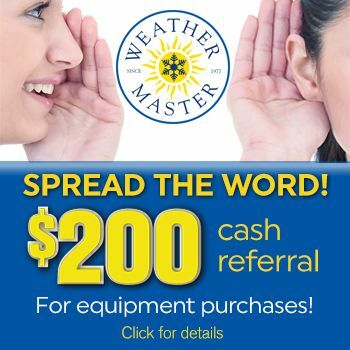 If you’re in our Raleigh, North Carolina service area, you can schedule service online with Weather Master. Weather Master Heating & Air Conditioning is an industry leader in heating & cooling, plumbing, electrical and indoor air quality. We have been serving Raleigh, Durham and the Triangle since 1977.